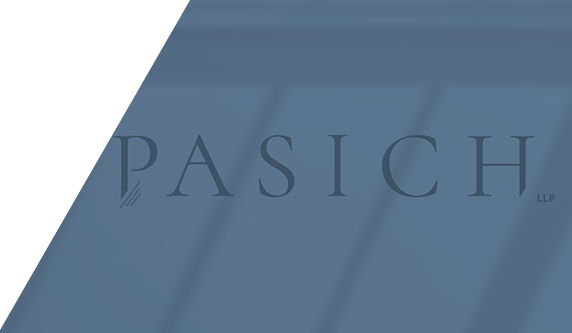 “Announcing Pasich LLP” – Kirk Pasich and Los Angeles-based partners Fiona Chaney, Shaun H. Crosner, Michael S. Gehrt, Sandra Smith Thayer, and Pamela Woods, as well as Anamay M. Carmel, who was promoted to partner as of the firm’s formation, and New York-based partners Jeffrey L. Schulman and Mikaela Whitman, officially announce the formation of Pasich LLP. The firm’s partners have handled some of the nation’s highest profile insurance recovery efforts around the country and, as part of the new firm, will continue to focus on insurance recovery litigation, advising clients on key strategic issues, and developing unique insurance products. Insurance Broker Liability in New York and the Impact of "Saying Sorry"
Those Multi-Million Dollar Employment Law Verdicts: What's Causing Them; How to Prevent Them; and What Do You Mean There Might Be Coverage for Punitive Damages? © 2019 Pasich LLP. All rights Reserved.